WASHINGTON — The American Wind Energy Association (AWEA) has hired Jennifer Jenkins to lead efforts expanding the U.S. market for distributed wind power. Jenkins is the former founding Executive Director of the Distributed Wind Energy Association (DWEA) and comes to AWEA with over ten years’ experience in the industry. AWEA, already the national trade association for utility-scale wind power, now adds distributed wind to its portfolio. 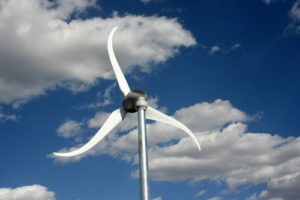 In contrast with utility-scale wind farms, which are connected to transmission lines and have an average capacity of roughly 200 megawatts (MW), distributed wind systems are generally connected behind the meter or to a local distribution grid and can range in size from a one kilowatt (kW) or smaller off-grid wind turbine at a remote cabin, to a ten kW turbine at a home or farm, to several multi-megawatt wind turbines at a university campus, manufacturing facility, or small community. Read the entire news release here. Small wind turbines are electric generators that use the energy of the wind to produce clean, emissions-free power for individual homes, farms, and small businesses. With this simple and increasingly popular technology, individuals can generate their own power and cut their energy bills while helping to protect the environment. Unlike utility-scale turbines, small turbines can be suitable for use on properties as small as one acre of land in most areas of the country. 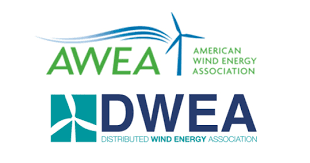 AWEA’s partner organization, DWEA (Distributed Wind Energy Association), is the leading expert on small and community wind power. Please visit the website to learn more about these types of wind energy applications. “This type of support for distributed wind power grows America’s small businesses and supports the growth of U.S. manufacturing jobs. It also builds economic opportunity and energy self-sufficiency in rural towns from Maine to California,” noted Jennifer Jenkins. 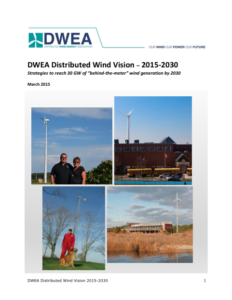 Click image, above, to link to DWEA’s white paper, DWEA Distributed Wind Vision 2015-2030. REAP grants provide up to 25% of the total project costs, and a grant and loan combination up to 75%. Eligible projects include renewable energy systems and the purchase, installation and construction of energy efficiency improvements. See REAP Fact Sheet for a complete list of eligible projects. This entry was posted in NewsBlog and tagged American Wind Energy Association (AWEA), business equipment depreciation, community wind, Distributed Wind Energy Association (DWEA), DWEA Distributed Wind Vision 2015-2030, financing, incentives, Small Wind Energy on July 25, 2018 by Helen Deffenbacher.